Yet another Slackware-based Linux distro! 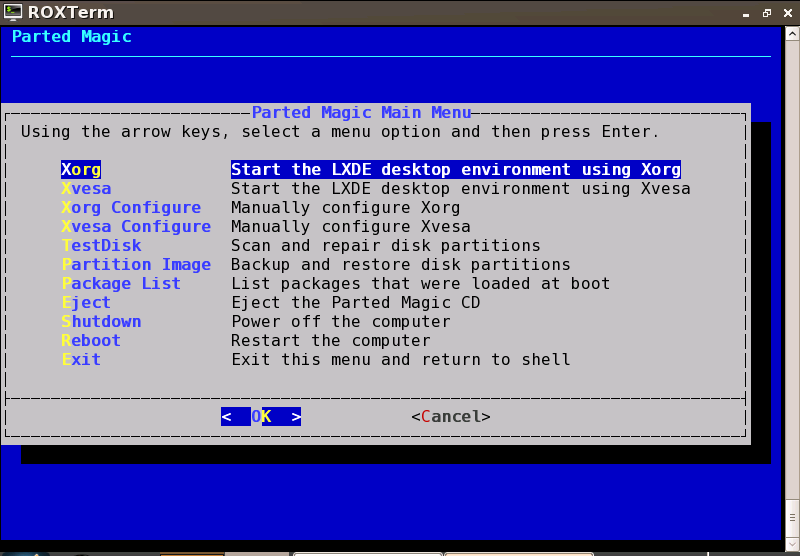 Parted Magic, aka “The Linux CD Partitioning Tool”, is a Live OS packed with recovery tools that you can use to troubleshoot your system. The boot menu contains 9 different boot options and a Memtest86+ entry. Even more options are exposed by pressing F1-F3 (vga modes, keyboard maps, other kernel command line parameters). All lines are editable by pressing the TAB key. If you’re going to use boot option 1, make sure you have at least 384 MB of RAM. 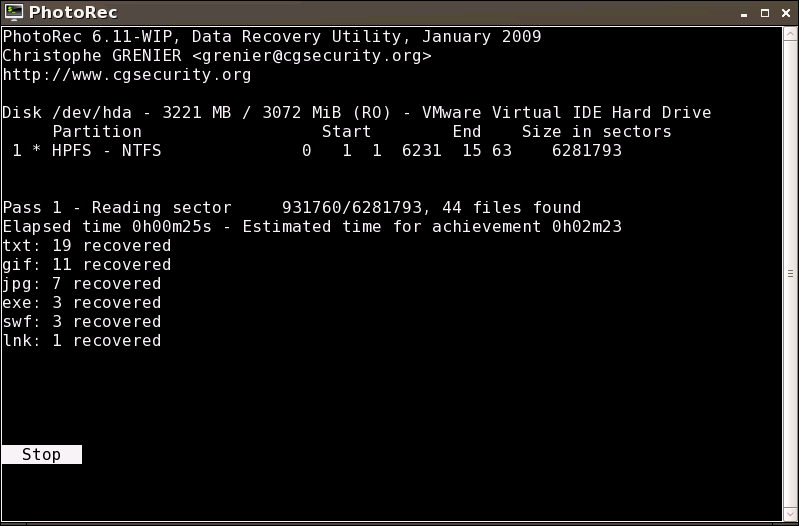 I used VMware for this testing and the amount of allocated RAM for the guest OS was only 256 MB so it failed to boot. 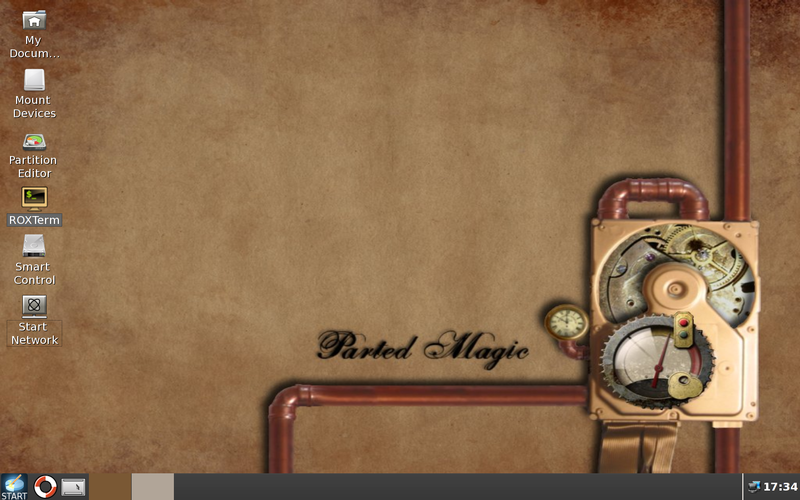 As its name implies, Parted Magic can be used to perform all sorts of partitioning operations. Thanks to the latest Linux kernel (2.6.28), EXT4 file system is fully supported. 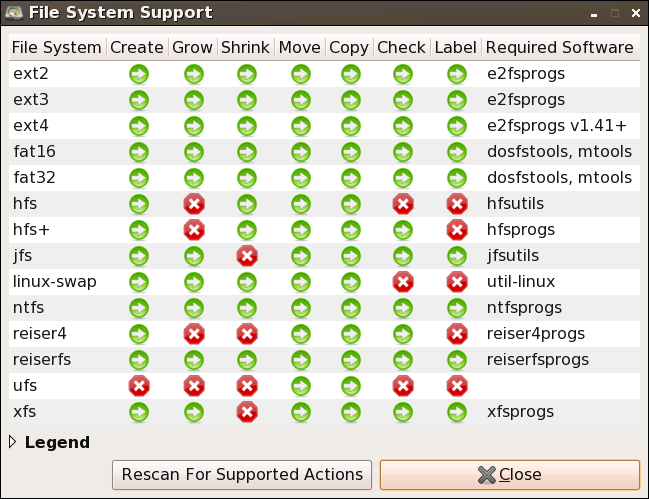 Besides graphical tools like GParted, there are also text-based utilities such as fdisk, cfdisk and sfdisk. An important tool to save/restore partitions to an image file is Partimage, which is also included. I had no trouble creating an EXT4 partition and saving it to an image file on a mounted USB drive. Parted Magic 3.7 comes with many utilities (the complete list is available here) which you can use for almost anything you can think of (data recovery, disk monitoring, remote connection clients, file managers). For some reason Parted Magic uses the same mouse cursor theme as Windows Vista. You can see the resemblance to Vista’s aero_working and aero_busy here. I don’t know if that’s pure coincidence (I actually doubt it), but I personally don’t like it. 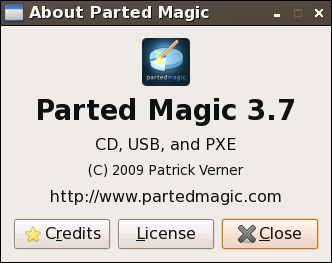 Parted Magic is a lightweight OS that can run as a Live CD/USB. It includes many recovery utilities that can help repairing damaged systems. Additional software tools are available as downloadable modules. It would have been nice to have some of these modules (e.g. ClamAV, F-PROT) inside the OS, but hopefully these features will be added soon.